At first Ultima Online, or UO, just sounded like something I wouldn’t be interested in. Back then I wasn’t in to online games, this was still the days of dial-up connections which made it sound even less appealing. Then around the year 1999 we decided to get roommates. Our first roommate came along and gave me a quick and dirty tour of Ultima Online from his computer. I watched but thought…nah…it didn’t look like something I would enjoy. It had this thing about players attacking other players and I am just not one of those people so I passed again. Later I started to discover the fun of playing online with Diablo and later Diablo II. By then High-Speed Connections where taking off and I had gotten me one! I played the original Diablo for over a year until I finally got tired of it and then later Diablo II where that only lasted maybe 6 months. The problem with these games, though fun, was that it was the same thing over and over again. You could progress only so far but it was a tiny little world and you only existed in it when you connected up with a friend. Then The Sims came out and my friend Maurice talked me into playing it. I loved it. These little characters running around doing things…but again, I was hooked on the online thing and wanted to participate in a larger world…one that existed outside my computer. Finally, around December 2001, I went out and found Ultima Online…mainly because I was bored and nothing else was interesting me in the gaming world. I brought it home, installed it and setup my account. At first I was so confused…I had no idea what I was doing but the idea that the little people running by where live people sitting in front of their computers was exciting. I plunged on for a bit longer. Then finally I decided I should send my old roommate an email and see if he still played. Low and behold, he did. We planned a time for each of us to be online and we met up there. He gave me a tour, some suggestions, some online items and from then on out, basically got me so hooked in to this online world that I feel I live there more than in real life (somedays). You would think that after a month I would have gotten bored with this game. But actually, the funnest part of UO, besides the great new friends I have, is that there’s always something new to do or something old to repeat. I’m now reaching the three years of playing and the land stays the same, the monsters (for the most part) stay the same but with so many things going on in this little virtual world it’s hard to do everything. Electronic Arts & Origin Games continues to add, fix and enhance this virtual world. But besides the game something else came with it that I hadn’t expected. New friends! Since I started playing I only knew my old roommate. He then introduced me to his cousin Pat, her and I have become the best of friends. 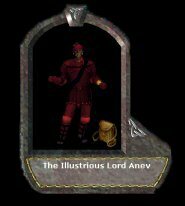 I then later met another player on UO that really inspired me to challenge myself in creating my favorite character “Anev”. And then there was the introduction to yet another person who probably has way more energy than all of us. I swear her character seems to jump around as if it’s on fire somedays…. The only person I have met face-to-face is my old roommate, the others I have only met online and once or twice over an internet voice conference call and web cam. But with this virtual world and these incredible people I hang-out with online I doubt very much that I can get bored or let get bored! I finally managed to get my friend Maurice to play but either he is loving it or hasn’t told me he ran off screaming from the game. He started to play once but found it confusing and time consuming. I can’t argue with either of those points. It’s a very time consuming game and I have to admit, the learning curve is vicious. But the reward once you get past those two stumbling blocks far out weights those two scary points. After a year I was finally able to GrandMaster my favorite character in several skills. In Ultima Online that was the highest you could take your character (they recently added in a new level). My characters on UO have also progressed into new areas of adventure and fun, I’ve purchased three or four virtual houses online and still I am finding stuff I haven’t tried yet. Ultima Online is not a game like any other, it’s a world and alter-life experience. Even if I rarely role-play with my characters, I do get into conversations and fun with other players online…each person tends to take pride in their characters and lives they have created in this electronic world of dungeons and dragons. To me, UO has more than paid for itself in costs but also provids me with an outlet to express myself in ways I never thought I could. 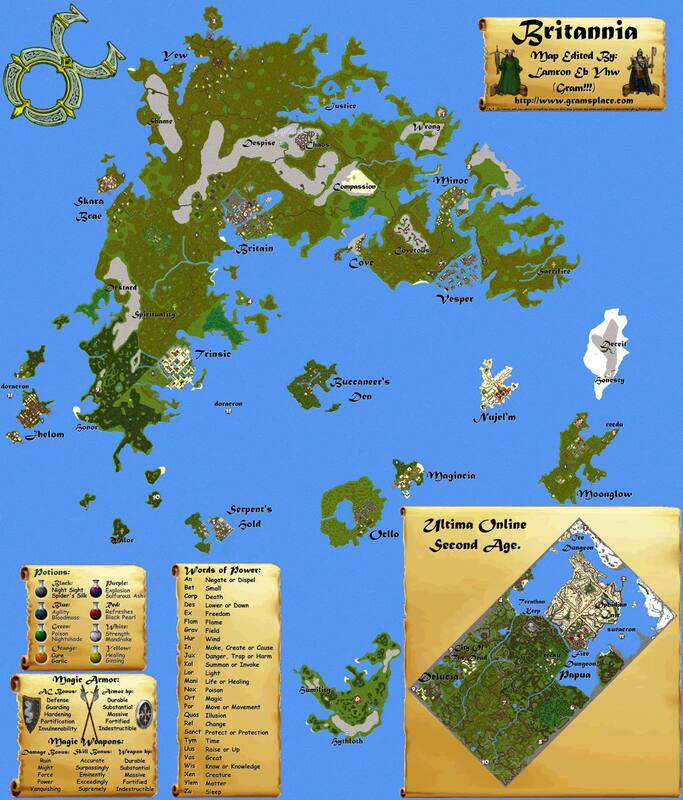 Why an area all about Ultima Online? Mainly because it’s become a part of my life. An alter ego and world I sometimes try to escape in to when I need to let some stress go. This single games has taken me out from behind walls and shells I never thought I had and expands my horizon of creativity and excitement. I’ve tried to include a bit out my characters in Ultima Online and about some tricks I have picked up along with web sites to help others learn about the game and things to do. If your a player already, don’t hesitate to stop by and say hi. If you thinking about starting, drop me a line and I can give you some details. If you aren’t sure about the learning curve and need help…just ask.